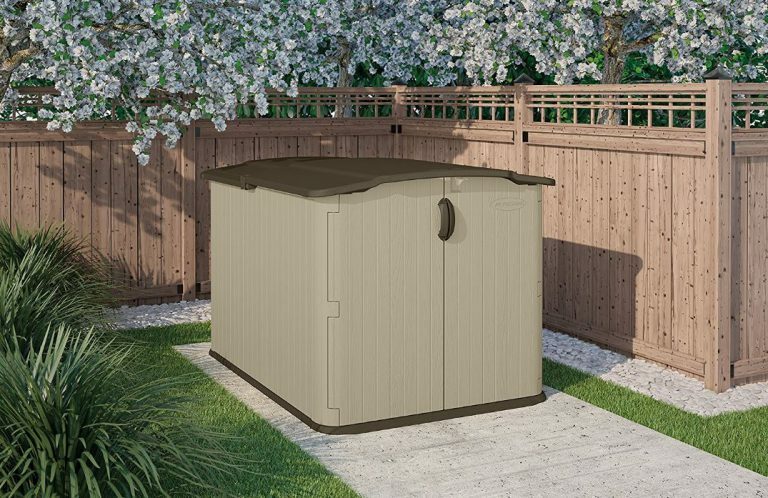 For those worried about planning laws regarding shed sizes in their garden or perhaps looking for outdoor storage accommodation with an unobtrusive stance; welcome to the solution that fits the bill, a low height shed. 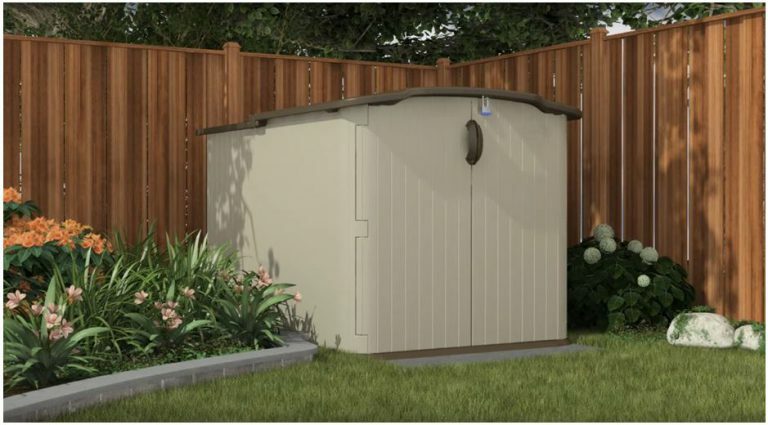 If a virtually maintenance-free composition lights your candle with wishes to store a variety of outdoor gear in a low-profile unit sitting below the height of a standard 6 ft fence-line whilst primary concern regards a sizeable accommodating storehouse, Suncast’s Glidetop shed is sure to impress. We longed to escape the eyesores rotten wood and rust projects relishing to play no part in future upkeep demands associated with repainting and re-staining wooden structures, sidestepping the hassles we embraced the qualities resin beholds. This new-age resin design replaces traditional conservation hassles with the well favoured duty of a low-maintenance wash down instead, the few minutes operation of a spray-hose down reinstates the sheen in rapid time. Designed to stand under the height of a 6 ft fence provides the popular advantage. This horizontal design is becoming quite a favoured alternative, many opting to purchase additional similar styles as opposed to the larger walk-in variety due to their convenience, inconspicuous appearance, a solution to escape planning complications and ease of assembly. Projecting a modish display, the facade’s neutral sandy coloured tones blend fashionably with the mustang shade of the lid, handles and lower trim. Triple-way access is delivered via double doors on the frontage, coupled with the cracking design feature of the glide-top roof. Suncast’s spacious yet low-profile design is becoming increasingly popular due to the lid delivering ease of access whilst destined to complement any surroundings with sleek attraction. 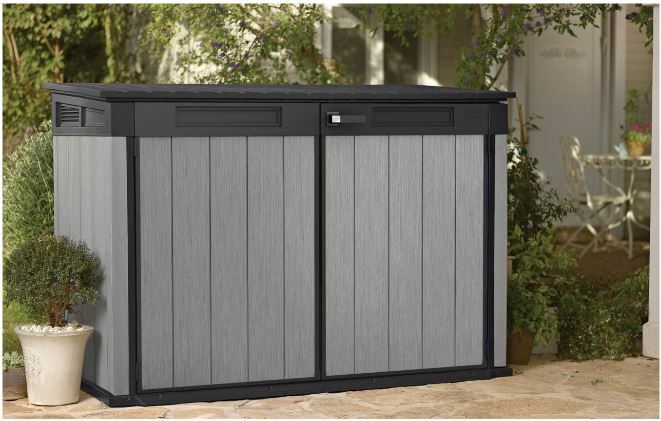 Externally, the Glidetop spans 6 ft 8″ deep by 4 ft 4″ high by 4 ft 9″ wide, resulting in 98 cubic feet storage capacity. Examine the internal measurements below to see whether this size fits the bill. As you can probably gather, it’s fairly spacious, able to shelter a fair amount of gear whilst assembly is very straightforward to construct. 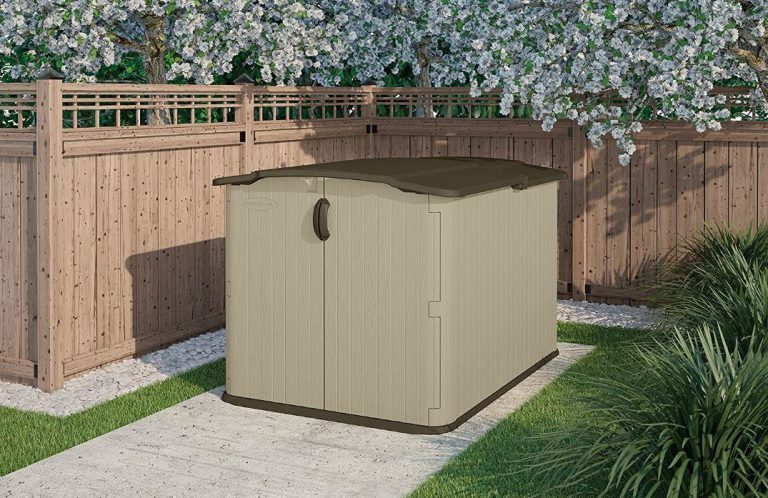 Praised through reviews, Glidetop’s low profile design is destined to accommodate a whole host of outdoor storage, such as: gardening equipment & tools, lawn supplies, patio accessories, BBQ gear, a fab haven for kids toys, perfect for rolling in bikes & lawnmowers or a dry-house log store. Countless storage solutions are delivered here. Low-maintenance benefits are the huge draw, encased in resin delivers weatherproof and weather-resistant advantages whilst the outer surface restores its unblemished appearance simply by a light pressure-wash down. 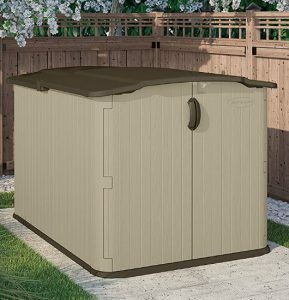 Three-way access by virtue of the double doors and sliding lid makes entry a breeze, the front half of the lid simply glides over the rear half, you can walk into half the shed. Built-in floors are a well favoured feature regarding quality resin sheds, adjoining the walls they accomplish maintaining a clean internal environment. 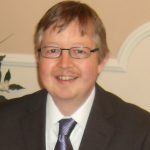 How do Reviews Evaluate the Glidetop? 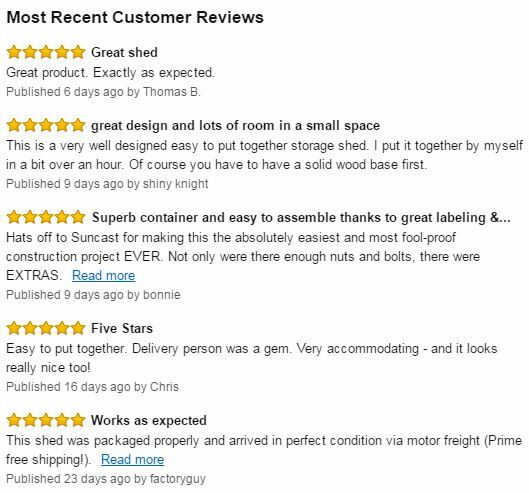 This mini shed really does exceed people’s expectations, feedback’s a joy to read. Purchasers adore the advantages a horizontal design delivers, the low maintenance composition, stylish modern appearance and built-in floor that keeps storage clean achieves high satisfaction whilst the triple door access exposing half the shed really does receive the thumbs up. Suncast’s Easy Bolt Assembly only requires minimal tools to erect the Glidetop, this Easy-Build incentive certainly draws attention. 1 – 1.5 hours is the approximate construction time, beats the heck out of constructing the walk-in variety, especially for the novice DIYer. One thing to note however headlining instructions regards preparing solid & level foundations for the shed to lay on, raised slightly above a floodplain level ensures the unit is not stood in water. It’s imperative these rules are adhered to. A solid surface plays homage to the floors heavy duty demands making it able to subsist weighty storage stresses whereas level footings simplify assembly, providing a quick efficient build due to the plumb alignment of the panels ensuring the doors swing true and the lid glides smoothly. The foundation rule is something we obeyed with, resulting in a hassle free assembly. Full appraisal takes this beauty a tad short of 5 star status. I really doesn’t get any better than this. A polypropylene resin mix constitutes the facade’s make-up, molded into a chunky double walled reinforced structure through a process termed as blow molded technology, unique to Suncast. Resulting in a sturdy construction the facade is weatherproof and durable delivering defence to subsist changeable weather pressures from driving rain to red hot sunshine without being susceptible to decay. A UV stabilisation process transpires in the initial stages of the polypropylene mix, armouring the composition with protection to resist the pressures sunburn delivers to unprotected plastic, withstanding cracking, colour-fade and a demise in appearance when subject to the stresses of sun-rays. 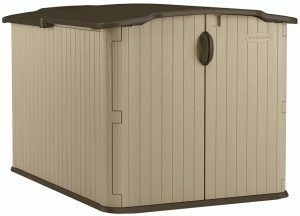 The molding procedure delivers a wood like grained effect running through the facade’s sandy shade, accentuated with the lid, handles and lower trim’s chocolate tint exhibits a classy presence, modish neutral tones destined to integrate effortlessly with any garden’s landscape. Whilst polypropylene harbours weather-resistant advantages critical for storage preservation, the surface is purposely designed for effortless cleaning. Conserving a pristine outward appearance literally takes minutes. We typically lightly spray-hose our shed down with a hassle-free speedy wash on a summer’s evening whilst drenching the plants. Over a winter’s period ingrained dirt may become an issue however a quick process to wipe away stubborn marks regards a squirt of mild detergent into warm water and scrubbed with a soft bristled brush, white vinegar works fab too, followed by a quickie spray-wash down. The image up-above shows the double doors spanning the entire width, providing easy access to the frontage however walking in towards the rear rather than crawling in to find your storage is delivered by Glidetop’s well crafted roof design, exposing half the shed for excellent access. Great idea! The front part of the roof simply overlaps the rear and slides effortlessly across the back end section providing walk-in entry to half the shed. Full appraisal received through feedback expresses the roof’s quality glide feature. The benefits of blow molded polypropylene capping the roof off regards its durability whilst resistant to rot provides the departure to frequent roof replacements, complete contrast to roofing felt’s disintegration issues when under duress from climatic changes, the reason this low-profile design in a wooden manufacture is seldom seen nowadays. The roof structure delivers a slight angle whilst adequately overlapping the walls results in an efficient weatherproof design, ensuring rainfall flows off without puddles developing nor seepage occurring inside. 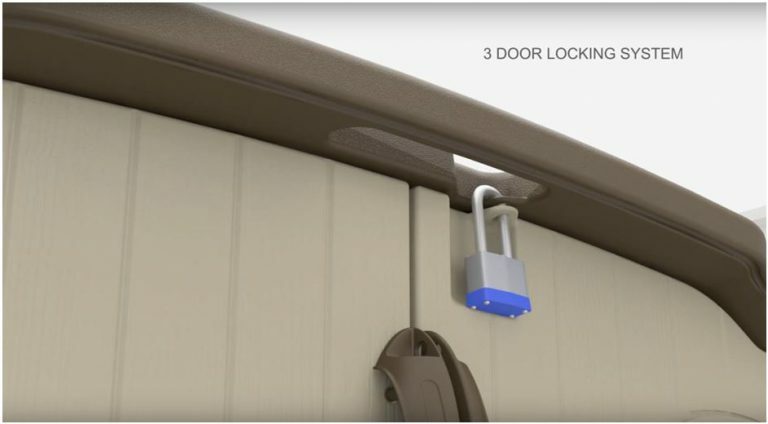 Best described as a 3 door locking system, when you close both doors and slide the roof to the front, a clasp designed to fit a padlock enables securing both doors and roof simultaneously. A padlock is not included. Preservation of storage is key for any outdoor unit. Whilst the resin makeup is unsusceptible to weather attack and impervious to rainwater, the weatherproof design internally protects storage. The floor is truly built-in, adjoining the walls leaves no crevices for pests to enter, outside environment blowing gusts of debris inside nor the admittance for rainfall to flow in, resulting in a clean & dry interior absent from rainwater puddles appearing on the shed floor. The flooring regards a resin manufacture with added toughness blended into the mix and molded into a thickset bed, able to survive demanding storage pressures like wheeling in lawnmowers, mobility scooters and storing weighty equipment. To maintain longevity of the hard wearing surface however it’s imperative the floor lays on a flat solid base. The Glidetop provides an ideal outdoor storage facility for wheeling in bikes, gardening equipment, BBQ paraphernalia, patio accessories, etc, etc, however it’s always advisable to measure storage ideas and location spots with the internal & external dimensions presented below. There’s nothing worse than a decomposing wooden shed and the hassles they entail, resin provides the avenue to leave those chores behind plus with the added bonus that polypropylene is environmentally friendly, being recyclable. A wash down when dirty regards Glidetop’s only maintenance, requiring the same cleaning procedure described above to which we deliver to our shed. Polypropylene does not decay, peel or rust and doesn’t involve any preservative re-coats of varnish, stain nor paint. No more re-roofing duties either, a resin composition makes all those duties disappear. It should be noted, although this is a low height shed it’s imperative to prepare solid level foundations for the shed to sit on. Either wood, concrete or paving slabs provide an ideal substrate and raised above a floodplain level to prevent water seeping in through their interlocking mechanisms. A levelled base eases assembly due to the panels swift plumb alignment, a perpendicular stance ensures the lid & doors work efficiently whilst solidity below provides sturdy anchorage and enables the floor to survive demanding stresses. Suncast advise to anchor the shed down for stability against the wild weather. You are required to purchase the correct anchor screws dependant on your base material, concrete or wood type screws. Assembly is pretty basic and takes roughly 1 – 1.5 hours. The parts simply all snap into place and secure with screws – Easy bolt Assembly is fast & unique to Suncast. Purchasers are supplied with an Easy Bolt Driver, this tool is the construction’s only requirement. Assembly made easy! Suncast’s horizontal glide-top shed receives wonderful reviews all round. It’s easy to put together, requires only a wash to bring it back looking pristine again. Neutral colours & stylish design enable complementing any landscape whilst the low profile stance sits below the usual height of a standard garden fence. Triple access delivered by the double doors and glide-lid roof receive full appraisal coupled with the weatherproof design & weather-resistant polypropylene providing sustained weather defence, eliminating future conservation work. It’s certainly got plenty of votes and gaining popularity fast. If you have any questions regarding this Suncast Model, please ask in the comment section below. Always happy to help. Please share Suncast’s Glidetop with your social friends. Thank you! I am buying a used shed. Is the easy bolt a standard size that I can use a hex driver with? Yes, Suncast’s Easy Bolt Tool Driver is very similar to a hex driver, with six sides. Hopefully you have the correct tool-size. Good luck dismantling and re-building. I just read your article about low height sheds, it caught my interest because I need a shed for a little over flow from my garage. I happen to live in a neighborhood with a HOA, and they are a pain in the rear! They have a restriction for everything, including sheds, this blows my mind, but my wife had to live here, so now I do to. Suncast Glidetop Shed might just be the answer to my problem. I have a couple of question’s. Are there other color options, or do they take paint well? I would like a color closer to that of my home. Thanks for visiting to read about Suncast’s Glidetop Low Height Shed. The overflowing garage syndrome is the reason we initially opted for a garden shed, they really do clear the space indoors by accommodating gardening equipment and outdoor gear outside, then you can use the garage for it’s purpose, parking the car. I understand there’s some very strict restrictions in various states of the USA regarding constricting walk-in sheds in home-yards. 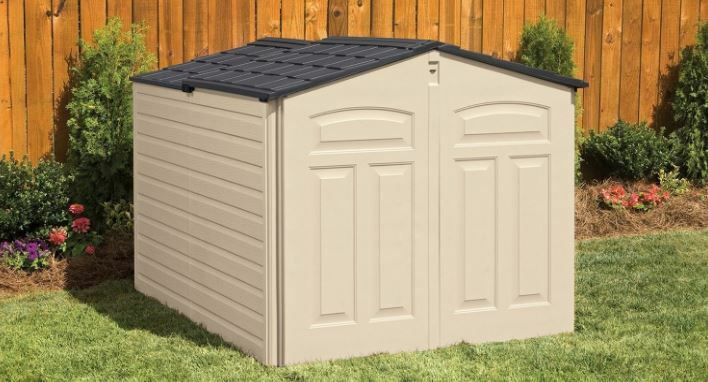 Over here in the UK, the situation is nowhere near as bad, there are restrictions if you exceed a certain size but on the whole you are allowed to construct an average sized shed in your garden. The answer to all these problems lies within low-profile sheds, they sit under the height of the standard 6 ft garden fence-line therefore hidden from view. These styles are becoming increasingly popular plus their assembly is a doddle compared to the large walk-in variety, the reason many choose to opt for additional horizontal sheds to more organise their storage and cut the hassles. There are no colour options with the Suncast Glidetop plus it’s not paintable. Check these additional low profile sheds, maybe there’s a style that suits. The only horizontal resin shed with a paintable surface regards Keter’s Grande-Store, this is new to the market and receiving rave reviews through it’s quality construction. However just check-out Suncast’s feedback for this Glidetop, it really doesn’t get any better than this. Hi, mike here .. I always wanted a little shed. I have a big garden, and I don’t like To scattered my tools all over the place . plus, fertilizer and compost in a bag.. It will keep longer in that little shed. I think I’ll look into buying one of the smaller ones. 6’x3′ will work. Great site, lots of information! My question to you is…. Can I get one custom built to my liking? Thank you!! Thanks for visiting and reading about the Suncast Glidetop shed. This style of horizontal shed is starting to become very popular due to planning laws in certain areas regarding erecting large sheds in gardens. This low height fits the bill due it standing under the height of a standard 6 ft fence line. I do know quite a few who are opting to purchase a few rather than a full height shed for this purpose and the unobtrusive stance they project. There’s a whole variety of quality plastic sheds in various sizes entering onto the market at present due to their low maintenance advantage. There’s nothing I’ve come across custom built at present but some of the larger Lifetime sheds are extendable so you can keep extending deeper. Thanks for reading about the Suncast Glidetop and leaving a comment. 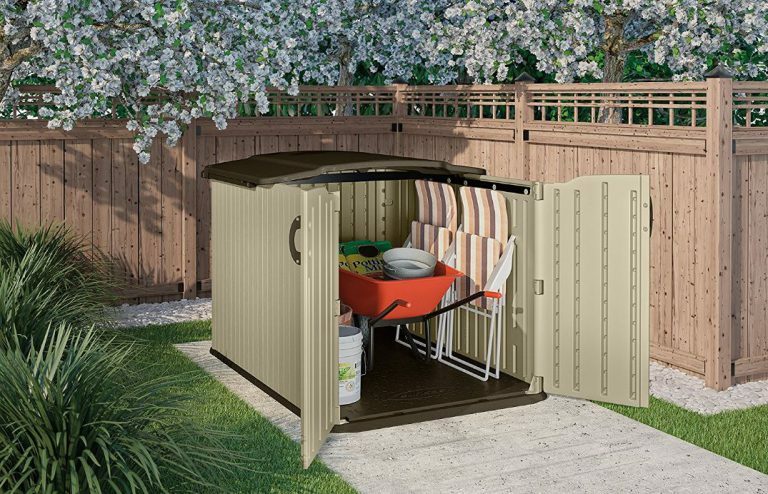 Sounds like this glidetop shed will be a decent sized outdoor storage facility to store all your military equipment, it will certainly enable you to make more space in the home, that’s for sure. Entry and exit is superb, there’s no doubt, as once the lid is slided across, half the shed is open. They are super low maintenance, easy to assemble through their easy fix and bolt technology and fit under a 6ft high fence, the reason they are becoming extremely popular due to strict panning laws in certain areas. I do know a few who have opted to purchase a few of these rather than having the height of a full size shed.